Did you know that the surface of the Earth is 509 million sq. Kilometers? But sadly enough, life is indeed too short to explore so many places. Thanks to the advancement of technology that with the help of Google Street View, your phone can show you some far-reaching corners of the Earth, free of cost and from the comfort of your home. This feature from Google is a 360-degree explorer service which permits you to meander through forests, roads and even in some other public spaces like Liwa Desert in Abu Dhabi or in the Buckingham Palace. 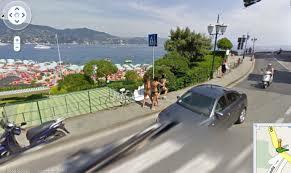 To create this sort of Street View, Google has to attach high-end cameras to bikes, cars and backpacks which can create 360-degree images of the entire surrounding and till date, the cameras have traveled more than 8 million miles. The first step that you need to take is to visit Google Maps. Type the name of the place which you wish to go to, for instance Trafalgar Square. At the right hand side corner you will find a yellow man. As you click on it, the yellow man will soon turn the roads which you will explore into blue. If you wish to explore, drag this yellow man to a specific spot and let him go. Now your view will change from the map to real photos. If you wish to navigate, click, hold and drag the mouse in the preferred location. You may find an arrow appear on the road which can be clicked to move forward. Google is always updating Street View in order to maintain fresh images. You may even take a retrospective glance at the older images which you visited back in 2006. If there are any Old street view images available, you’ll find a clock icon at the top left of the box. What Are The Best Places To Explore With Google Street View? Among all the recent Google apps, the Street View is perhaps the best one. Now that you know how to operate it, you can visit some extraordinary places like HMS Ocelot submarine, National Trust sites through Britain, Loch Ness and other famous places. So, in order to get an experience of your lifetime, use this wonderful feature from Google to visit the entire Earth from your room. Know more about Google’s latest feature here.